For the first time in the Arab world and the MENA region, the International Space Station (ISS) held a teleconference with Moroccan students of Morocco’s National School of Computer Science and Systems Analysis ENSIAS. In collaboration between KSF Space and NASA, through the first of its kind contact, the ISS on orbit crew touched on leading life onboard the ISS and also on the space industry. The school community, including the students, teachers, families and community members, were taught by the ISS astronauts on the substantial profit of human spaceflight and the exploration and discovery that occur son spaceflight journeys. The teleconference, broadcast live via KSF Space’s social networks,occurred with the Chairman of of KSF Space, Dr. Kayyali Mohamed, present. The event comes a month after Morocco launched the nation's first satellite, Mohammed VI-A, in November 8, launched by an Arianespace Vega spacecraft. This significant event made the kingdom the third African country — after Egypt and South Africa — to orbit a reconnaissance satellite . The Moroccan satellite will be dedicated to Earth observation (EO) and will be able to map and take high-resolution images in any weather, night and day. Images collected by the satellite will help Morocco polish the nation's green policies. 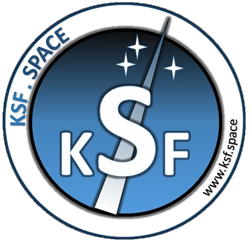 KSF Space Foundation was initially founded to enable cost-efficient access to LEO with zero-environmental impact solutions. The foundation offers access to near-space and LEO for research and scientific experiments in many fields, such as EO and space observation, biological testing, satellite positioning detection, Earth magnetic field measurement, radio transmit, atmosphere science and technology experiment. KSF Space Foundation also announced the launch of the world's first "NEP Certification" for space education and the space industry.